When Tag Heuer launched the Monaco in 1969, the brand achieved two records: not only the Monaco was the first water-resistant watch with a square case but it was also the first automatic chronograph. The watch became an icon the year after when the actor Steve McQueen wore it in his classic Le Mans movie. The new Tag Heuer Monaco Calibre 6 Automatic 2014 is the latest interpretation of this watch, so much appreciated by many motor-sports enthusiasts. The 37 mm case, just like the crown, is made of steel but with a titanium-carbide coating for an all-black look. Alternating fine-brushed and polished finishing, the case frames a black dial only interrupted by white luminescent markers and two red details: the small second hand and the "automatic" text. Sapphire crystals are used on both sides so the Calibre 6 automatic movement is visible on the back. Beating at 28,800 vph, it offers a power reserve of about 38-44 hours. The perforated calfskin leather strap with red lining, ideal for the sporty nature of the watch, is secured by a steel folding buckle with safety push buttons. 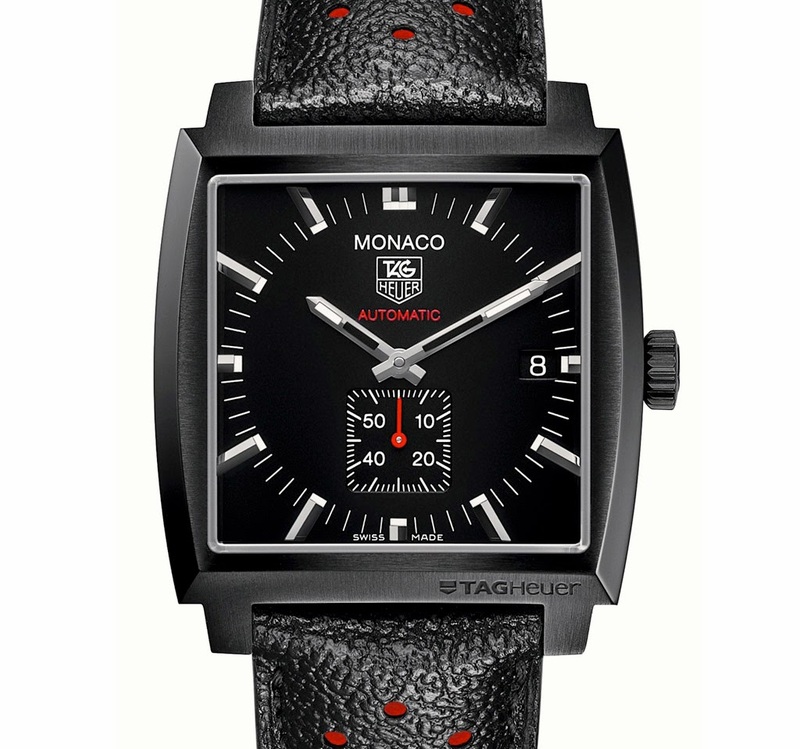 The Tag Heuer Monaco Calibre 6 Automatic 2014 (ref. WW2119.FC6338) is an ADIS or Special Order model and its production will be based on the total number of orders confirmed by September 2014. It will retail for Euro 3,000 / US$ 3,900. 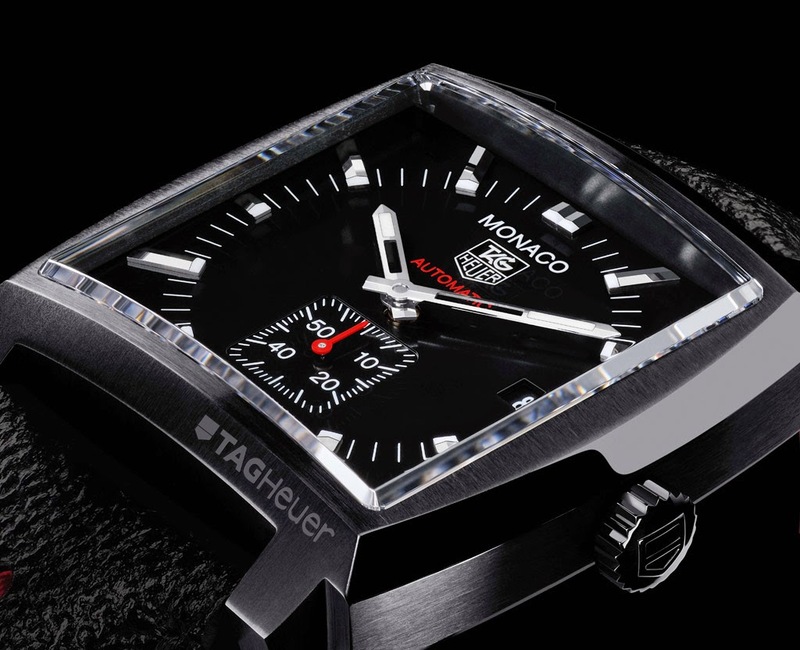 When Tag Heuer launched the Monaco in 1969, the brand achieved two records: not only the Monaco was the first water-resistant watch with a square case but it was also the first automatic chronograph. The new Tag Heuer Monaco Calibre 6 Automatic 2014 is the latest interpretation of this watch, so much appreciated by motor-sports enthusiasts. 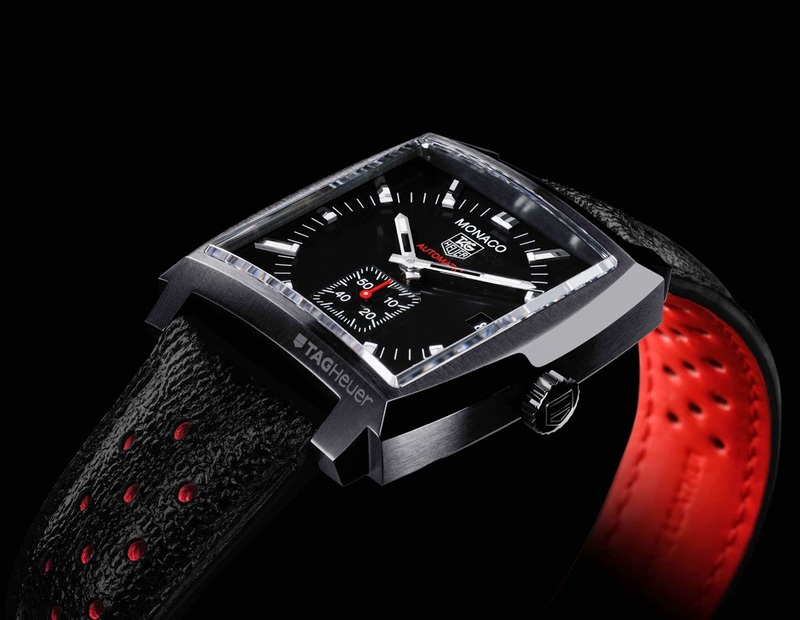 The Tag Heuer Monaco Calibre 6 Automatic 2014 (ref. WW2119.FC6338) is an ADIS or Special Order watch and its production will be based on the total number of orders confirmed by September 2014. it will retail for Euro 3,000 / US$ 3,900.